Looking for accessible holiday accommodation in the UK, Ireland and France? We have a range of holiday cottages, homes, B&Bs and Hotels with disabled facilities. Everyone needs to get away from their daily routine. For many disabled people, elderly people, carers of young people and disabled or elderly relatives, searching for holidays in the UK, can be challenging. 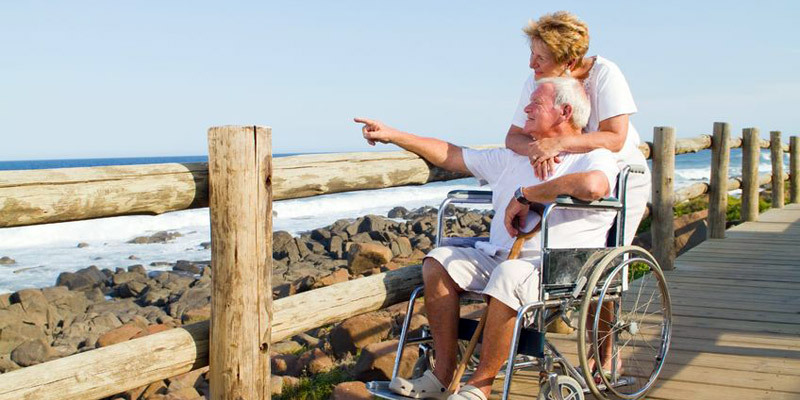 Limited mobility or having a disability should not limit your holiday options. Self catering is perfect solution for disabled guests with many holiday villas and cottages having wheelchair access or disabled facilities. When choosing your holiday accommodation, the facilities in these properties vary. Some will have toilets or showers with wheelchair access, while others are equipped with ramps, wet rooms and ground floor bedrooms and bathrooms. It is important that you thoroughly read the property descriptions to see if they are suitable to you or your guests. If you have any questions regarding personal requirements please contact the owner directly before booking.